A researcher from Kansas State University has received a $650,000 grant from the U.S. Department of Defense to study the differences between men and women and how their hormones affect the ways they respond to medication and surgery after a traumatic event. According to professor of biology Sherry Fleming, women’s survival rates are much lower than men’s survival rates after experiencing traumatic events such as heart attacks, car accidents, or blast wounds. Additionally, Dr. Fleming will conduct research on a drug that can reduce or prevent the damage caused to intestinal tissue when blood and oxygen are restricted. This may also help treat high blood pressure in pregnant women. Florida State University has received a $3.25 million grant from the Health Resources and Services Administration to improve maternal mental health outcomes by increasing screening rates and patient access to treatment and resources. The researchers aim to achieve 100 percent screening rates for perinatal mental health and behavioral health in three targeted regions in North Florida. The funds will allow the team to enhance existing programs such as mental health referral resources, in-home therapeutic interventions, and the Florida Department of Health’s Healthy Start Program. Additionally, the funds will provide training for local psychiatrists in perinatal mental health and expand the tele-psychiatry capacity of community mental health providers. 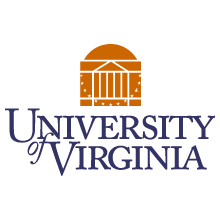 A husband-and-wife research team at the University of Virginia Cancer Center has received a $1.8 million grant from the National Institutes of Health for their effort to improve radiation therapy and surgery techniques for patients with early-stage breast cancer. Dr. Timothy Showalter and Dr. Shayna L. Showalter will evaluate a technique they developed called precision breast intraoperative radiation therapy (IORT). The pair will determine the five-year breast cancer recurrence rates of patients that received Precision Breast IORT, how the surgery affects the immune system, and how it compares to other treatment options. The University of Texas at Austin has received a $1.2 million Smart and Connected Health grant from the National Science Foundation to support research using smartphones to monitor the activity and behavior of 1,000 pregnant women in the Austin area. The goal of the project is to develop digital phenotypes to better understand factors that influence pregnancy and inform individualized pregnancy care. The research will cover complications including maternal mortality, emergency C-sections, stillbirth, neonatal death and preterm birth.